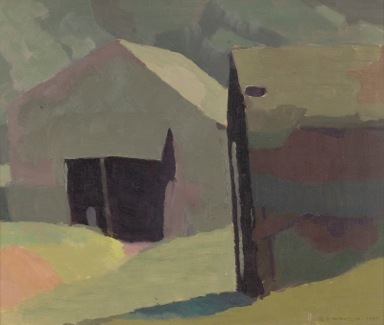 Philip Bacon Galleries opens the art year with an exhibition of Australian paintings loaned from private collections. Titled 40 YEARS 40 PAINTINGS, it comprises art from almost every decade since the 1890s and celebrates his 40 years as an art dealer in Brisbane's Fortitude Valley. Each of these paintings — which include artists Ian Fairweather, William Dobell, Rupert Bunny, Joy Hester, Margaret Olley, John Brack, William Robinson and Michael Zavros — he has sold over this period. Philip Bacon has "visited more bedrooms than Don Juan" and shared his experiences as a Brisbane-based art buyer, dealer and philanthropist with TUL. TUL: What was it that drew you to art when you were still a teenager? PB: It is a question that art people are asked often. With this business, 40 years later, it really is a vocation, not a job. I was always interested in looking at pictures. I wasn't interested in painting myself but I was interested in looking. I used to go with my parents to galleries (not that there were that many around, we were in Melbourne and then in the country so there was nothing much at all). My father was interested in music but there was no collecting basis to my family. TUL: So how did you get started? PB: I used to go to Grand Central Gallery and buy pictures and pay them off. The proprietor Keith Moore said, "Why don't you come and work part time here on Saturdays? I won't pay you but I'll take what I owe you off your bill." So I did. TUL: In the catalogue for 40 YEARS 40 PAINTINGS you state that commercial galleries are overlooked in Australia. What is their importance? PB: Their most important function is to give artists a platform and to allow their work to be seen and acquired by interested people. That is the final validation, in my view, of an artist. It's the final step in the journey that they take when they first had the idea. TUL: You also acknowledge the initiatives of staff you've mentored who remain in the art dealing business. Were you mentored in a similar way yourself? PB: Yes — I was quite friendly with Brian and Marg Johnstone, after they retired in 1972. 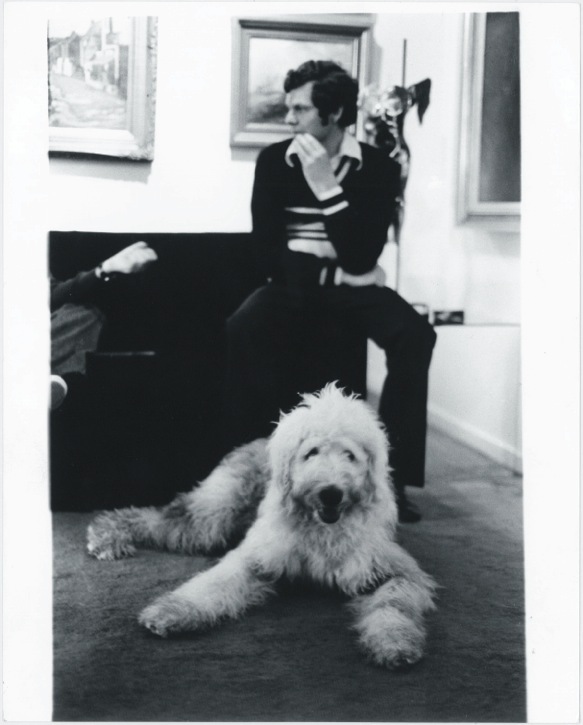 Opening my gallery in 1974 I had taken on most of the artists that Brian showed and to whom he was very close, and they embraced me. The other person who was very good to me was John Cooper who had a gallery on the Gold Coast called Eight Bells Gallery but before that he started the Moreton Galleries in Brisbane in the 1940s. I was very young when I started so my senior artists were a lot older than me, so they all mentored me in a way, too. As I got a bit older and more established the relationship changed, so that I became the senior figure. TUL: Many commercial galleries don't last very long, and others, like the Johnstone's, see the proprietors retire exhausted. But celebrating your 40th Anniversary in 2014 you are openly talking about your 50th. What do you find compelling about continuing, and how do you manage it with such equanimity and grace? PB: In the main, it's a fantastic world that I live in. I feel so privileged to do something that I love still as much as I, probably more in a way, than when I first started. It was really scary in the early days — I mean it was financially a very parlous time. It was a terrible time the early and mid-1970s, difficult financially and politically. It's also that every day is different: every day is the same but every day is different. There's always somebody new coming through the door or on the phone. They ask the same questions now as they did 40 years ago but with nuances and differences. And then, with the artists, it's really interesting to see how they change and develop, and go on or don't. And relationships with my clients, who become my friends, are fantastic. Given the level that I deal at, in terms of the values of pictures, the clientele for those pictures are by definition wealthy, well-established, successful people who have interesting lives. You become a part of that. And that is endlessly fascinating too. You watch something unravelling and you know about before it's in the papers. You become very intimate with them. I've said before I've visited more bedrooms than Don Juan. TUL: You have another role as a philanthropist to all of the art forms: music, theatre, opera and the visual arts. What does philanthropy offer you? PB: This always sounds so clichéd but it's true when you say it's more fun to give than to receive. It's rewarding to be part of something that you believe in and the companies that I support I believe in implicitly. I've been on the board of Opera Australia for 14 years, through good times and bad, and it is one of the great companies in the world. To be able to help in some tiny way! I try and explain to my friends that if they just give it a go they really would enjoy it. And in the main they do try giving more and getting involved. That's what Dame Elizabeth Murdoch used to say: "It's not writing a cheque, it's much more important than that." She got very involved with the companies that she supported. That's the really valuable thing. TUL: Why is art an important cause to support? What about giving to the other end of society, to health-care, drug addiction and other dysfunctions? PB: The arts are dead cheap: they are such good value for what they give back. The whole budget for Arts Queensland is a mere rounding error in Queensland Health. It's less than they spend in a week on wages. So it's infinitesimal in the bigger picture. The government support for the arts is tiny compared to anything else. And people might say that's quite right, it shouldn't be any more. Well maybe it shouldn't be more, but it certainly shouldn't be less because, if we didn't have opera, we wouldn't have the Sydney Opera House which means we wouldn't even have the single icon in the world that says, "This is Australia". How pointless would that be? How thrilled are people when they go abroad and they hear or see an Australia singer doing well? The arts are part of the fabric of society and if you take that away then what's the point? What is the point of a society that doesn't have the arts at its core? 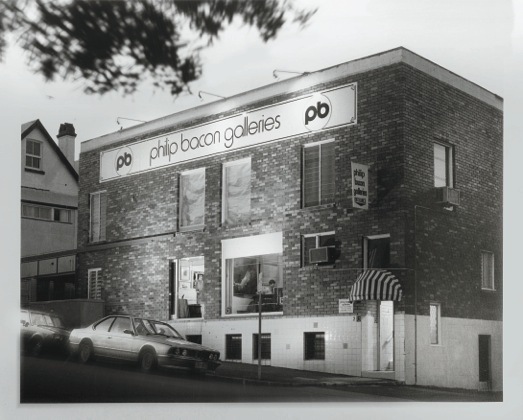 TUL: Why is Brisbane the base for Philip Bacon Galleries? TUL: 40 YEARS 40 PAINTINGS is a show with subtlety and many surprises. There is an atypical Ray Crooke (Trochus divers, 1960), an amazing Dobell (Boy in jodhpurs, 1953) with interesting provenance from the Major Harold de Vahl Rubin collection, an unusual Roland Wakelin (Old Balmoral, 1920), a stunning Brett Whiteley (Orange fruit dove, Fiji, 1969), and of course the artists you've represented with such success like Jeffrey Smart, Robert Dickerson, Margaret Olley, and Sam Fullbrook. What does it tell us about your eye and what you are looking for in a painting? PB: I've always wanted to be very broad in my approach to what I sell and there are certain periods of Australian painting that really interest me. I was collecting Rupert Bunny's in the 1970s when you could buy them for very little because I thought he was so under-regarded. And while I represent living Australian artists and try and select the ones that I think are the best or that I'm interested in, I've always had a big stockroom. I started life as a kid buying pictures for myself. When I opened my gallery, within 12 months the person who'd loaned me the $20,000 to start it asked for their money back. I had to sell my collection to finance the gallery. I was able to do that very successfully and relatively easily. And that was the best lesson. When I started to put this Anniversary Loan Exhibition together I found, not necessarily the most valuable pictures I've sold, but ones I thought were interesting and a bit different perhaps. And, from a purely pragmatic point of view, they also had to be things that belonged to close friends that I could borrow without having to have a security guard standing next to it holding a humidifier. I always had an eye to how the show would look and that it would be balanced and periods would be represented. There's almost a picture for every decade from the 1890s on. TUL: The exhibition catalogue includes a particularly beautiful Rupert Bunny painting titled Madame Sadayakko as Kesa, (c.1907) on the cover, with a degree of modesty visible in the stance of the woman and her demeanour — she is looking away from the viewer. Can we conclude anything from that about the way that you do business? As a painting it is understated but powerful. PB: If there are any conclusions to be drawn they were subliminal because I chose that picture for all sorts of reasons. First, I own it so it was easy to borrow! And I love it and I think it's one of the finest Rupert Bunny's in existence. So it's a great picture to have on the front cover. It's a nice question to ask — I don't like the spotlight and she's certainly not in the spotlight. I like the focus to be on my artists and my paintings and my exhibitions, not on me. I don't want to live my life vicariously through my artists. I have a perfectly good life that doesn't require me to be an artist. I just want to be a facilitator. TUL Note: Louise Martin-Chew and Philip Bacon met at Philip Bacon Galleries – the same building albeit extensively renovated - where he opened in 1974. Louise is a freelance writer (and director of consultancy mc/k art). Her most recent book examines the life and work of Sydney-based sculptor LINDE IVIMEY (UQ Art Museum, 2012). In 2014 she is researching and writing a book on Donna Marcus, whose large scale work Steam (2006) still defines Brisbane Square.